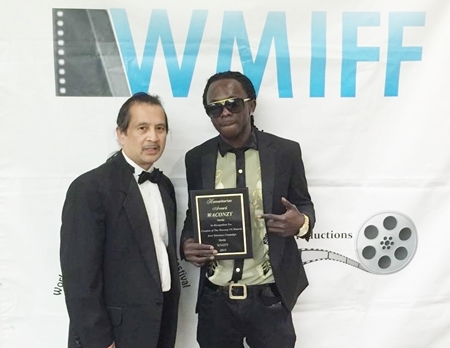 Nigerian singer, Waconzy has been honored at the 6th Annual World Music & Independent Film Festival in Hollywood. 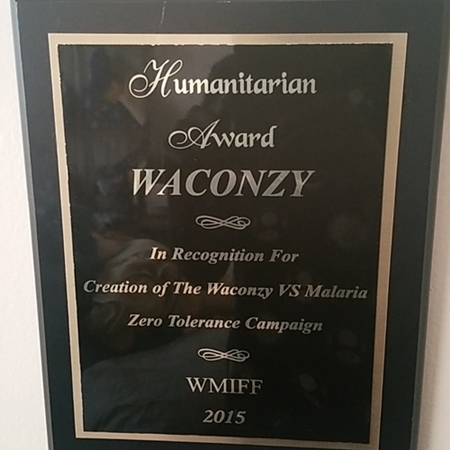 Nigerian singer, songwriter and record producer, Anyanwu Obinna Kelvin better known by his stage name as Waconzy was recently honoured with a humanitarian award at the 6th Annual World Music and Independent Film Festival Holywood USA in recognition of his contribution to the fight against malaria in Africa via his 'Waconzy Versus Malaria Zero Tolerance' campaign. 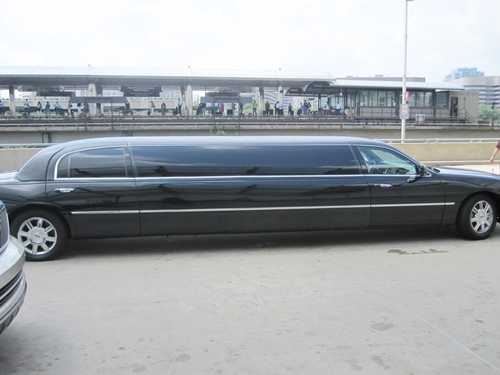 The event attracted celebrities from all over the world . 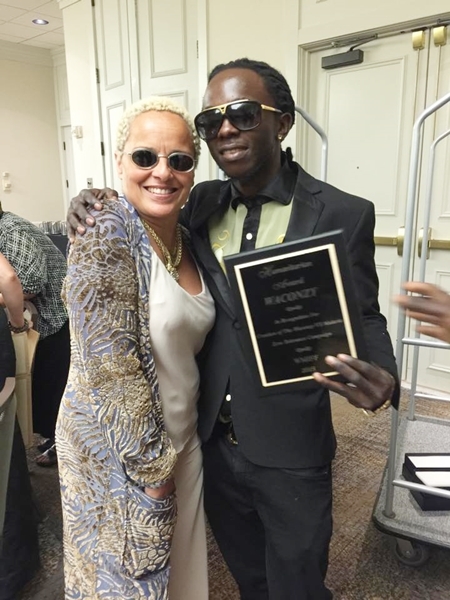 Waconzy was also made friends with the world renowned Shari Belafonte during the awards and she assured him of her support to his cause. Congrats Waconzy.